He doesn't like modern music and laments about living out of a suitcase. Jake Bugg chats to Sarah Probert about the perils of being a young music star. Jake Bugg is sounding a little weary as he reflects on an incredible few years in the music business which saw him plucked from a council estate in Nottingham to become a revered singer songwriter performing sell-out gigs across the world. As we chat the 20-year-old is heading off to appear on a TV programme, but admits he has no idea what it is. He has had a few weeks off, during which he had some time to catch up with his mates where he grew up in Clifton, but now he is facing an incredibly busy few months, playing a string of festival dates and embarking on a UK tour, which includes two nights at Wolverhampton’s Civic Hall. “I always imagined it would be like this, I always dreamt of it. It was either this or nothing,” he explains when asked what alternative career path he may have chosen had he not been such a success. He stays close to his family and friends in Nottingham but says he has no real permanent home, instead spending most of his life in hotels as he tours around the globe. “I don’t know any different. It can be stressful living out of a suitcase, well it is stressful,” he says. “My family and friends are happy for me and they support what I am doing. I went back for a couple of days a week or so ago to see my mates,” he says. The fresh-faced singer also suffers with back ache, partly due to the hours he spends cooped up on a plane. Clearly there are downsides to his day job. He hasn’t enough time for a girlfriend, as much as he would like one (he dated supermodel Cara Delevingne for five months last year), he spends much of his time at festivals on his bus and says his focus is very much on his music with little time for anything else. But he has also clocked up many musical highlights in his fast-paced career, from touring with Noel Gallagher’s High Flying Birds in the US to playing an impromptu set at the LA home of Breaking Bad star Aaron Paul. “It was really cool and we got some nice pizza,” says Jake of the intimate gig for the Hollywood star. “It was just a really nice modest house,” he adds. In April Jake also took time out of his world tour to visit Heliopolis, the largest slum in Sao Paulo, Brazil, after being invited by Action Aid to see its charity work creating music and sports projects to tackle long term poverty. During his stay the humbled singer spoke to families, played football with youngsters and sang Seen It All to a crowd in the street. “I thought it would be a really cool chance to go to a crazy part of the world,” he explains. “It was an experience, I was really shocked. “You see things on the TV all the time but when you actually go there it shocks you. “People were living in small huts with water coming through the roof. They were down this little alley and there were kids doing graffiti. There was lots of music going on and as a community they actually seemed really happy. They really helped each other as a community. During his trip he talks to members of the community about how music has influenced his life. “I use music to escape the real world. It is an outlet so when you get stressed, pressured, when the real world gets to you, you use it to escape,” he says. “We don’t have a lot to do where I come from, so we usually hang out on the streets and play football or music, because there isn’t too much to do. Jake had dropped out of a music technology course at the age of 16 when his life suddenly changed completely. He was picked to appear on the BBC’s introducing stage at Glastonbury Festival in 2011, aged just 17. He was immediately signed by Mercury Records, releasing his critically acclaimed, debut self-titled album in 2012, which went straight to number one, releasing his second album, Shangri La, a year later. “It was particularly special going on tour with Noel (Gallagher) and the second album was a special moment for me,” says Jake, looking back on the highlights. Influenced by such musical greats as Johnny Cash, Jimi Hendrix and The Beatles he has previously been dubbed an east Midlands Bob Dylan for his gravelly sound and songs reflecting his working class background. “People are always trying to pigeon hole you and people can say what they like but there are more records to listen to than Bob Dylan,” he says. He is now working on new material for a third album, although he has no definitive date as to when it might come together. Does Jake have any other hobbies or take time out for partying? “By the time I get to write songs and work on new ideas there isn’t much time for anything else,” he says. Jake, who in the past has taken several swipes at One Direction for only being famous for their looks, doesn’t have time for new music either, saying he doesn’t listen to anything contemporary. ”I am still waiting for someone to make a record I can enjoy. I like all kinds of music as long as it is good,” he adds. 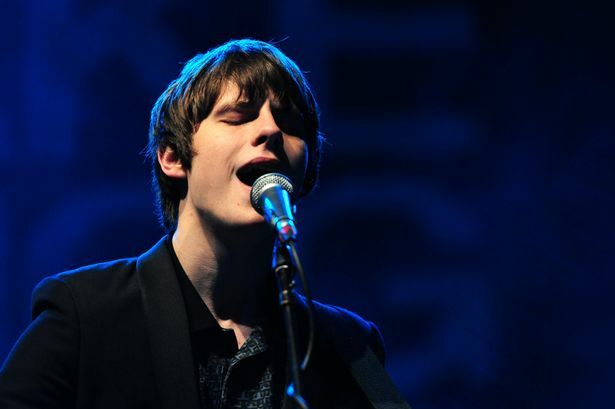 * Jake Bugg will play Reading/Leeds Festival on August 22-24 and Wolverhampton’s Civic Hall on October 6 and 7.